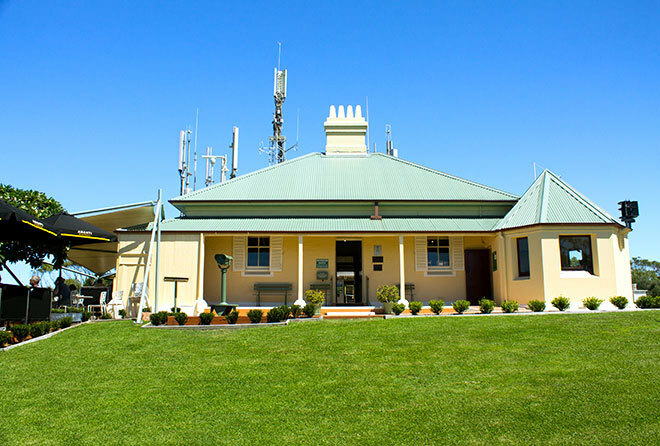 The Inner light house at Nelson Bay is the home of the local Marine Rescue radio base, a maritime museum in the old lighthouse keepers cottage and in the light room and the Inner Light Tea Rooms with some of the best views in the Port Stephens area. View from the Inner Light at Port Stephens. You can visit the area from sunrise to sunset but the cafe is only open for morning tea, lunch and afternoon tea. The Cafe is open 7 days from 10.00am to 4.00 pm and is a great spot to relax over a coffee or tea and cakes. They also serve a lunch menu that looks amazing and seeing some of the food coming out of the kitchen I am planning on returning to sample most of the menu. 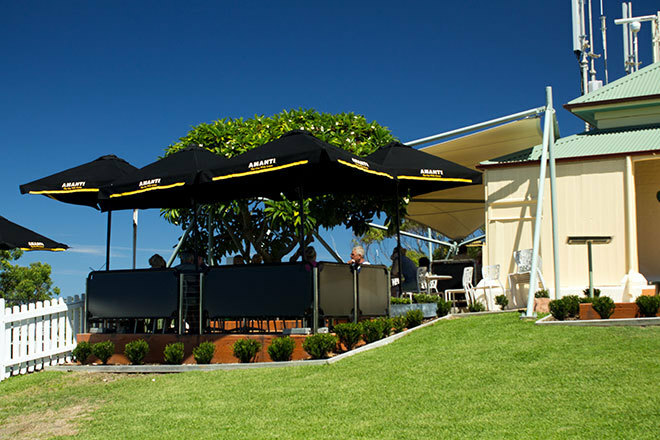 There is seating inside the cafe but on the day I visited it was a spectacular sunny day with a cool sea breeze and the alfresco dining area with umbrellas on each of the tables was just too tempting. Sitting down to enjoy my coffee and cake, good company and the views out to the headlands made for a perfect afternoon tea. The access to the cafe from the car park is disabled friendly and has ramps from the car park as well as the steps. You can also access the lighthouse cottage this way. There is a path way past the old WW2 Gun enclosure that has some great views but this path way has steps only. There is a well kept grass area in front of the cottage that has some spectacular views as well. This would be a great picnic spot to enjoy a sunrise or sunset over the bay. After our refreshments we had a look through the museum in the old lighthouse keepers cottage. Entry fee is a donation which helps to maintain the museum and there are some interesting maritime exhibits on show. The marine rescue base also has a gift shop run by their ladies auxiliary that you can have a look around. A little History on this site. 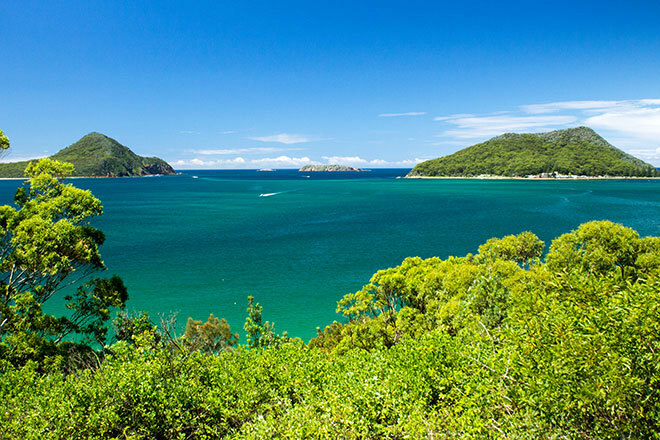 Before the first light was placed here in 1792 there were 44 recorded shipwrecks and at least 40 people lost their lives entering Port Stephens. A light that could be seen for up to 10 miles out to sea was installed on a wooden tower in 1792 and maintained by the telegraph operator Mr William Glover. The first light in the current structure was installed in 1872 with the cottage being built 3 years later. Nice article and gorgeous views too. I sure is a great spot and it would be a great inspiration to get out and write some more.